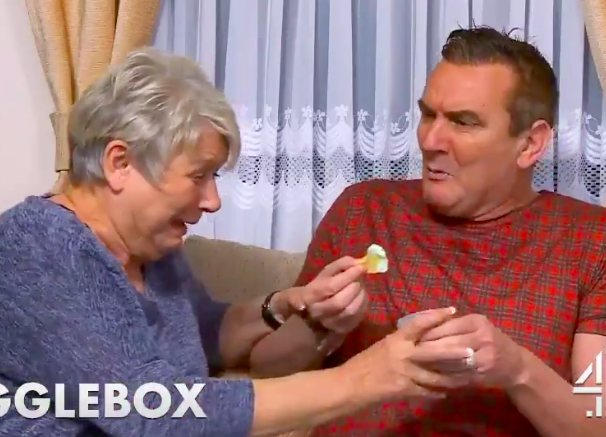 Gogglebox has continued to rise in popularity over the years, with all of us getting weirdly addicted to watching everyday people comment on our fave TV shows. The concept of a bunch of normal people watching television and providing commentary, as they would in their private living room, doesn’t sound all that interesting but with the right Goggleboxers, it can actually create TV gold. Not to be unpatriotic but while Australia’s adaption of the reality series is great, the original UK series is in a league of its own. They have even had One Direction members on their damn show. Shook. The UK series has picked out some hilarious British citizens and their comments are iconic to say the least. Some of the below clips belong in reality TV history books. #1. This biscuits and dip mishap. #4. Green peas in A SANDWICH?! #5. This is the most hilarious accident. #6. Laughing so much you almost pee yourself is relatable AF. #7. Geography is not this little guy’s strong point. #8. These two besties are filthy and I stan. #9. I don’t believe you, Josh. #10. These nannas truly are friendship goals. #11. And the UK even have a goth Gogglebox family. #12. It’s true, we do all like a bad boy. #13. Warning: be careful around electricity. #14. The horny besties are relatable AF. #15. And the nannas trying to do yoga has ended me. Pls bring the nannas to Australia, we will take care of them. You can watch Gogglebox UK on the Lifestyle channel on Foxtel.